Mama, dada and baba bird want to say tweet tweet to your new little bundle! 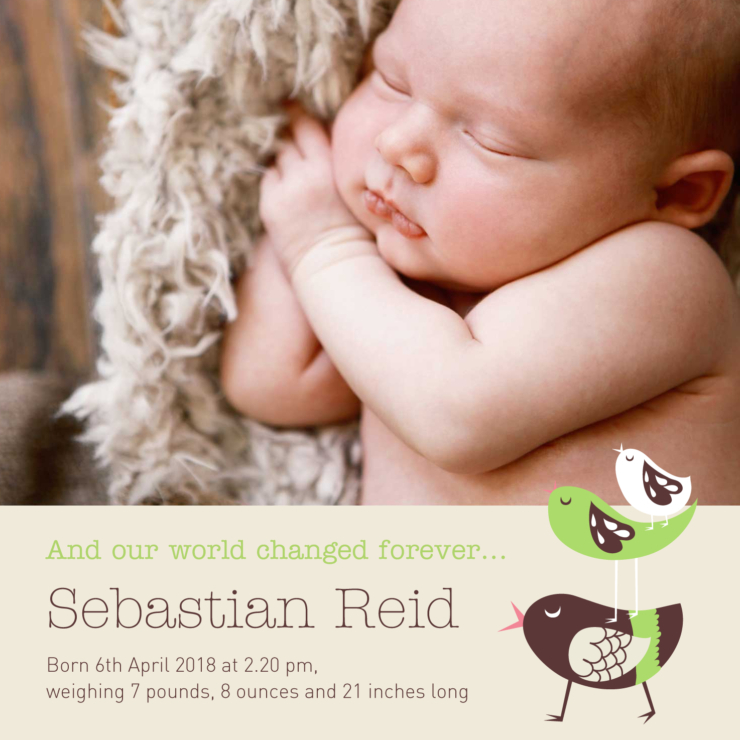 Help introduce your precious new tweetie pie with this adorable birth announcement. By adding your photo and text you make it your own.